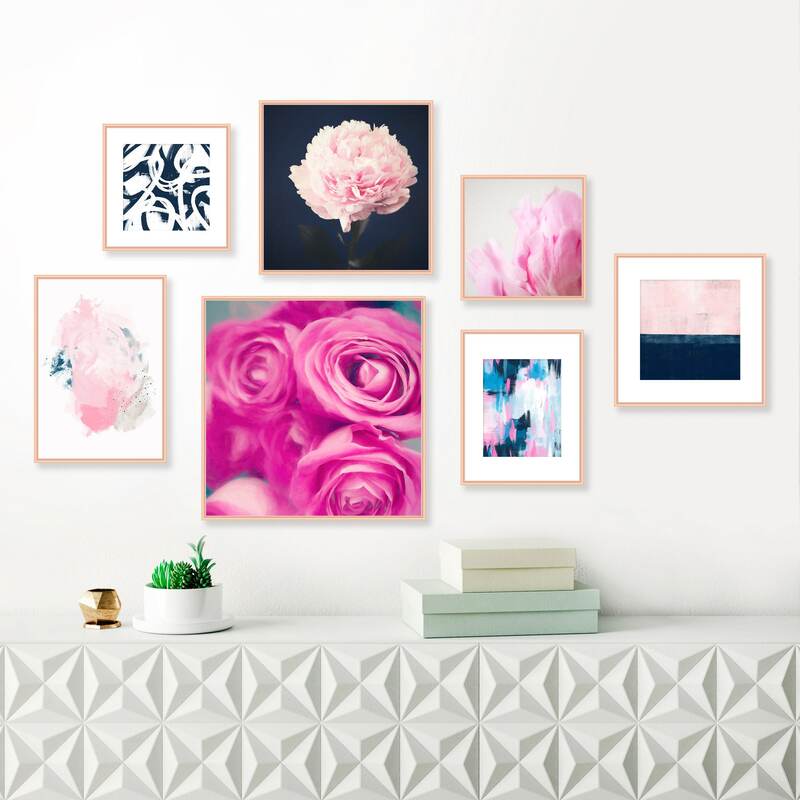 An eclectic mix of 7 original, modern art prints with a beautiful combination of striking florals and contemporary abstracts that will make an inspiring focal point in your home. 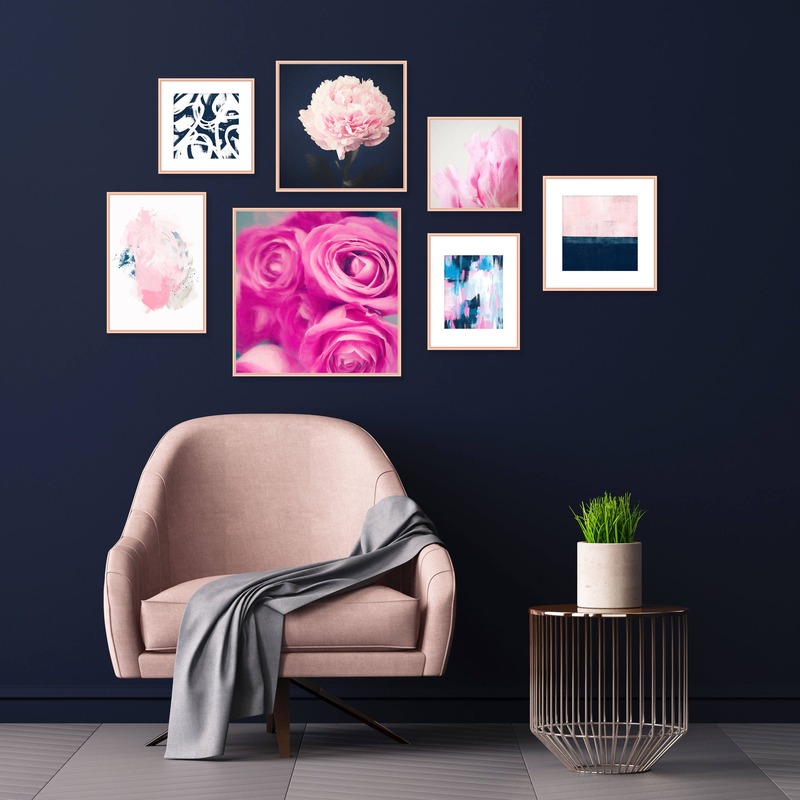 This set of pink and navy blue prints will complement your modern interior perfectly. 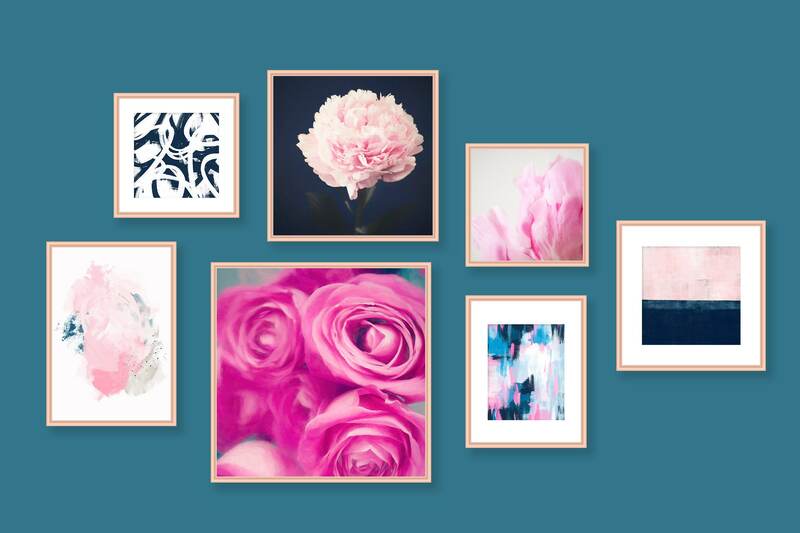 You can choose to have this set of prints framed or unframed, the choice is yours. 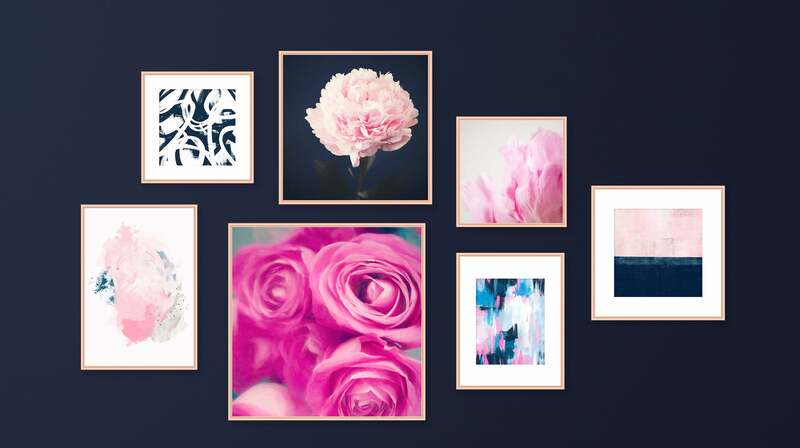 Take a look at the photo of the frame options and choose your preferred frame from the drop-down list before you checkout. 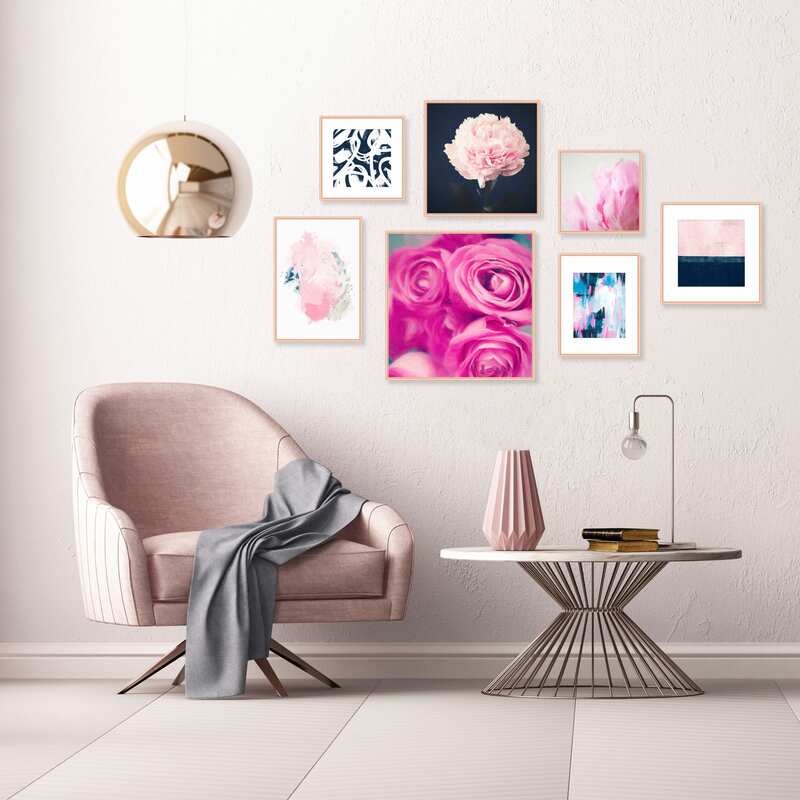 Please allow an additional 5 working days for delivery if you choose the framed option. 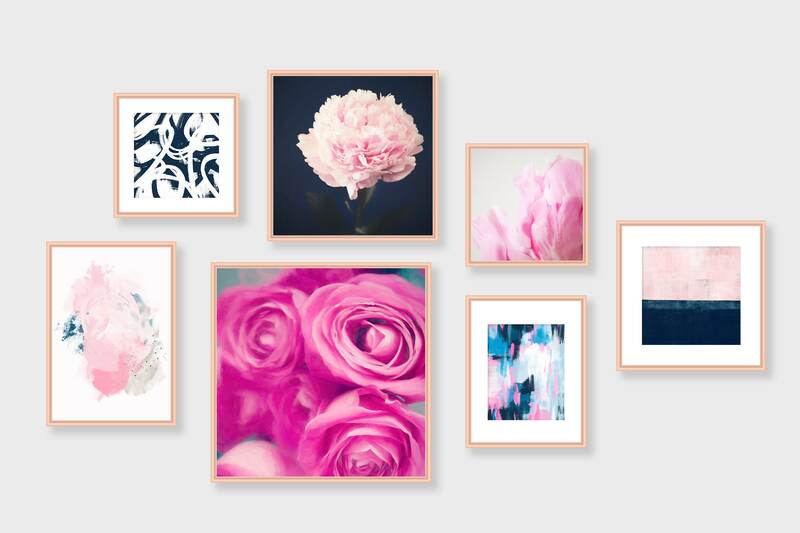 A set of 7 fine art Giclée prints, printed with archival inks to ensure you will have quality prints which will last a lifetime. 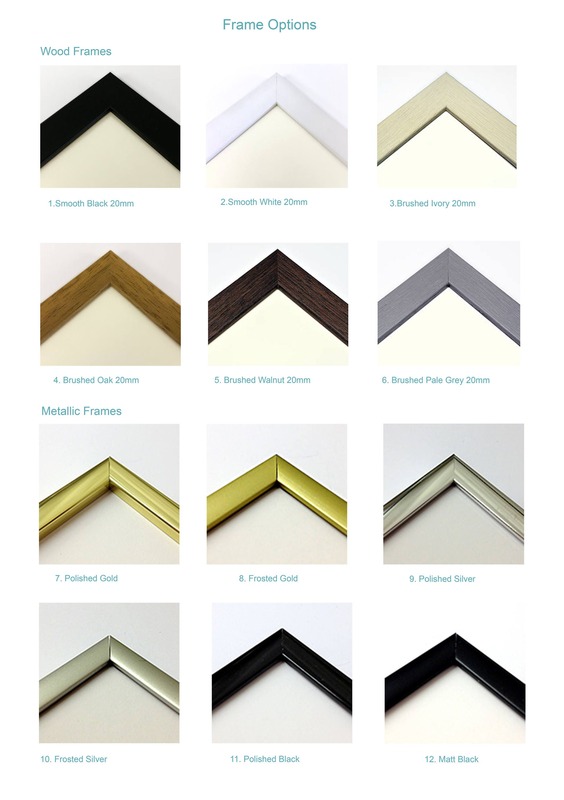 Wood or Metallic frame of your choice with styrene glazing.